Another version of our Solomonic Sword. 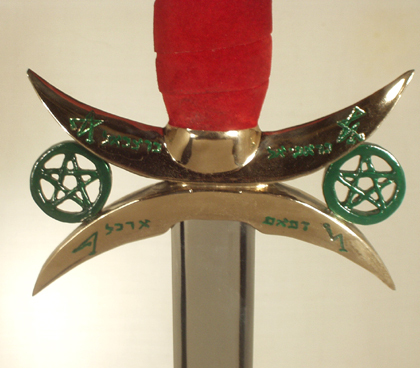 Open pierced pentacles are on all the discs including the pommel. Center disc with or without hexagram. Each sword is hand-made to your specifications, with many options available.